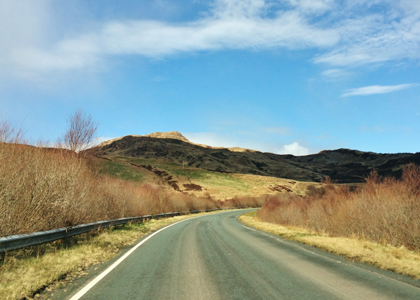 Looking for an affordable dentist in Skye? Looking to register a good local NHS dental practice? We are your local NHS dental surgery that provides affordable and quality dental care for all of Skye and surrounding areas. 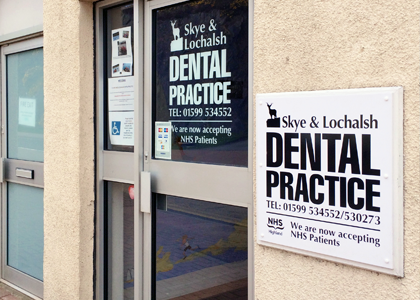 Skye and Lochalsh Dental Practice has been serving the community for more than 32 years and we provide excellent care for our patients. We offer all NHS dental treatments such as fillings and dentures as well as cosmetic dentistry, such as tooth whitening and white fillings. We are committed to the NHS and our care is affordable and of the highest possible quality. We believe in treating our patients with respect and understanding, and all our team are friendly and professional. We try our very best every day to make even our most nervous patients feel at ease at our dental practice in Kyle. We are family friendly and are part of Childsmile educational programme. Our surgeries are equipped with the most up to date equipment and we are committed to providing pain free and highly personalised dental care. For convenience, we offer free Wi-Fi for our patients, there is free parking near the practice and offer email appointment reminders. All our surgeries also have disabled access. Patient care is really at the heart of everything we do. We are currently taking on NHS patients and have no postcode restriction and no waiting list. To register with our dental practice please fill in our online form or call us now. Registration is free and takes less than 3 minutes.